Pinterest – the web’s latest social media craze, is a great way to build awareness for your blog or website. But as with most social media promotion techniques, your ability to influence others through your Pinterest presence is limited if you don’t have that many people following you in the first place. So today, we’ll share a few techniques that can be effective for building up your Pinterest following. Try applying a few of these ideas to your own Pinterest profile and watch your number of followers soar! One of the fastest and easiest ways to get more Pinterest followers is by tying your account to your existing Facebook and Twitter profiles. Doing so (and setting up your permissions correctly) means that every new item you pin will be displayed to your followers on these networks. Since you already have established connections with subscribers on these sites, you’ll find that many of them elect to follow your Pinterest profile naturally. Integrating Pinterest buttons into your blog posts, product pages and other areas of your site can help boost the number of times your content is pinned and lead to new followers for your profile. Because Pinterest is still relatively new, simply having these buttons in place provides a visual reminder for people to subscribe to your profile and engage with your content on this new site. 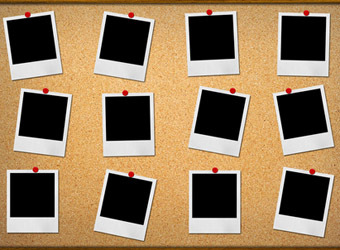 Alternatively, why not create a Pinterest board that’s built around one of your blog posts. For example, if you run a dog training tips website and recommend several different products in a new blog post, create a Pinterest board tied to this post that shares these recommendations in a visual way. Doing so makes your content more engaging and gives readers a reason to follow your profile. As with any social media site, determining how often to pin new content involves finding the ideal balance between posting so little that there’s no value in following your profile and posting so often that people get annoyed with your constant updates. For best results, aim to pin between 5-30 new items a day, depending on the number of active Pinterest boards you maintain. Giving each board on your Pinterest profile a fun and unique, but understandable, name is a crucial part of attracting new followers. Since many subscribers elect to only follow the boards that are most relevant to them, it’s important that your board names make it immediately apparent what each of your boards are about. If you only ever repin content from others, you aren’t bringing anything new to the table, which gives Pinterest users even less of an incentive to follow you. 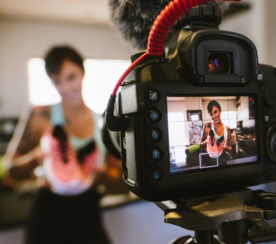 Instead, create your own new pins based on content you find on other social networking sites or from resources you’re familiar with that haven’t yet been featured extensively on Pinterest. On Pinterest – as on Twitter, Google+ and Facebook – following other users (especially power users with thousands and thousands of unique subscribers) is a great way to get your content noticed and spread across a much larger network of people. To find other pinners to follow, search for a few of your industry’s general keyword phrases on Pinterest and take note of the users that appear to publish the most content and have the most followers. Follow these users yourself and repin some of their content – many will return the favor by following you back and sharing your pins with their networks! While it’s considered inappropriate to pin your own content too frequently, you can always team up with other site owners or retailers in your industry to organize a “pin exchange” that allows more of your content to be seeded on to Pinterest without your direct involvement. A group of friends who all sell items on Etsy, for example, could arrange to share each other’s content on Pinterest in order to build recognition without appearing too “scammy”. It should go without saying, but when you offer plenty of different boards across a wide variety of interests and topics, you’re creating more opportunities for people to follow you. While it’s a good idea to create boards that are relevant to your website or business, consider creating boards on your personal hobbies and activities as well to reach a larger group of people. As mentioned in Tip #6, if you want to build your number of Pinterest followers, it’s important that you be seen as a “thought leader” in your industry – not just someone who repins content from other people. To increase this perception, try to be the first to create pins for news items within your industry. You could even create boards to feature new products that are released in your niche, making you the “go to” pinner serving your field. People love tutorials, and the unique visual display of Pinterest makes it ideally suited to create tutorials that other users can follow. As an example, say you run a site that teaches affiliate marketing to website owners. Using Pinterest, you could create a “step-by-step” tutorial board, in which you feature links to different articles from around the web on topics like choosing affiliate products to promote, building traffic to your site and improving conversions. Create tutorials on topics that you know will interest a number of people and you’re sure to pick up more followers for your account. 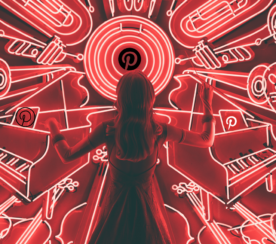 One of the ways that people find new Pinterest users to follow is by searching the site for interesting key phrases in order to uncover new pinned content. If your pins don’t appear in these searches, you’re losing potential followers that could have subscribed to your boards. For this reason, it’s important to integrate relevant keywords into your pin captions. Don’t simply stuff your pins full of meaningless keywords, but at the same time, don’t use basic captions like, “So funny!” that don’t give Pinterest users or the site’s search engine any information about what’s going on in your pins. Because Pinterest is such a visually-focused site, the quality of the images you use in your pins will go a long way towards attracting new followers. If the Pinterest bookmarklet doesn’t automatically capture an attractive image (or, if there are no good images used on the source content page in the first place), manually create the pin on your own using a high quality, visually appealing picture from a Creative Commons image directory. Are you on Pinterest yet? If so, do you have any other techniques for attracting followers to your profile? Share them in the comments section below! 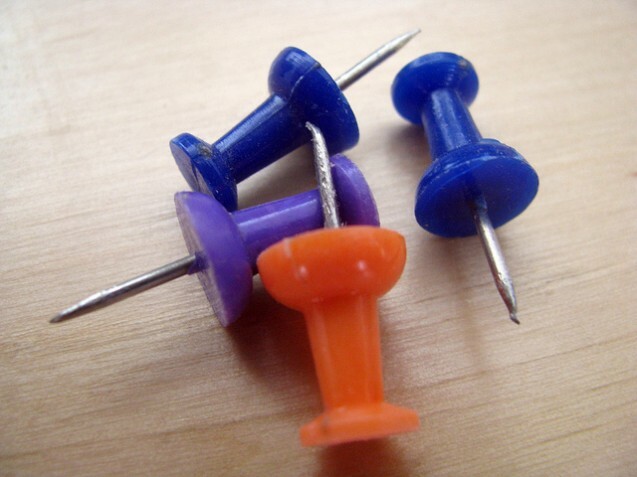 Related Post – Leveraging Pinterest: How “Pinnable” Is Your Content?